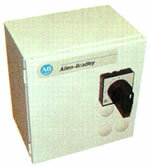 hot or cold parts from ovens or freezers. Can be used in drying operations. HP BED WIDTHS - 16" to 28"
BELT1/2 in. x 1 in. flat galvanized wire mesh belt. BEDRoller bed with 1.9 in. dia. roller x 16 ga.
frame bolted together with splice plates. TAKE-UPTake-ups at tail pulley. Provides 4 in. on every other section 30 ft. bed lengths and over. speed reducer. No. 50 roller chain to drive sprocket. 60 Hz. Totally Enclosed C-Face. chain guard on left hand side. iron sprockets with 1-3/16 in. dia. shaft 6 in. centers. bearings. Sprocket at each end. BELT SPEED - Constant 65 FPM. BEDSlider bar in place of roller bed. carbon steel, bright high carbon steel or stainless steel. BELT SPEEDOther constant and variable speeds. 1.9" Dia. Roller (Rollers on 6" Centers) in a 6-5/8"
10%. For widths over 52" OAW, contact us. 6" 8" 12" 18" 20" 24"
10" 12" 16" 22" 24" 28"
Type 16" to 22" 28"
lengths from factory. Contact us for other lengths. NOTE: MS-7 to MS-12: Knee Braces included in price. Include 5AC Reducer, Heavy Duty Motor Base Plate, and #60 Chain and Sprockets with Taper Bushed Hubs. Note: SSB and D Series are Holding Brakes and are NOT rated for cycling. Above noted delivery times determined by delivery time of model ordered. 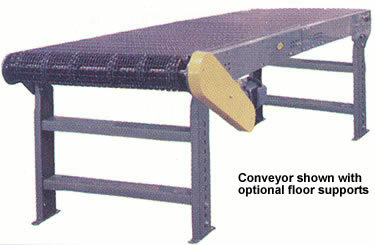  Specify type of conveyor to be used.  Use in place of LS or MS Supports only. "L" Belt Width 12" 18" 24"
Bed Width 16" 22" 28"
All weights are conveyor weights only. Accessories, crating, etc., are not included. Mesh Belt from your source for material handling equipment.